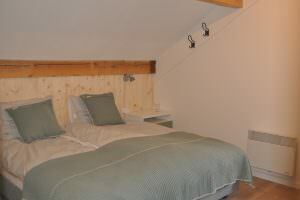 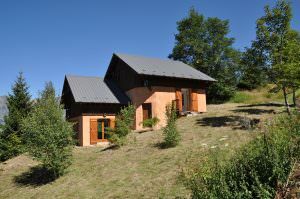 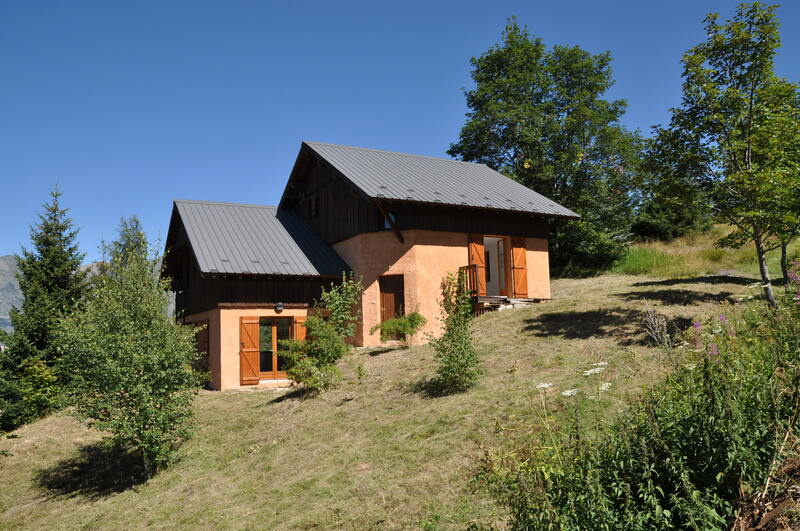 Chalet Rouge ou Blanc is a very comfortable and cozy 12-person chalet with a large garden. 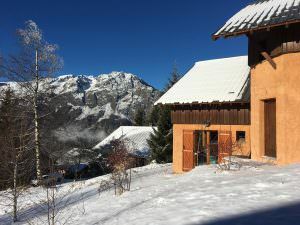 The chalet is ideal for both summer and winter sports, as it is located at 1500m altitude in the authentic mountain village of Villard-Reculas in the heart of ‘Alpe d’Huez Grand Domaine Ski’, one of the best ski and snowboard areas in the French Alps. 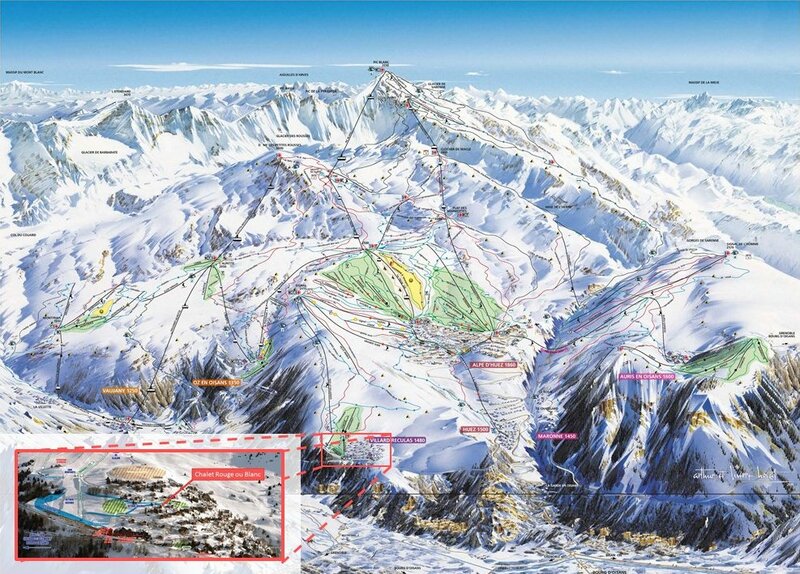 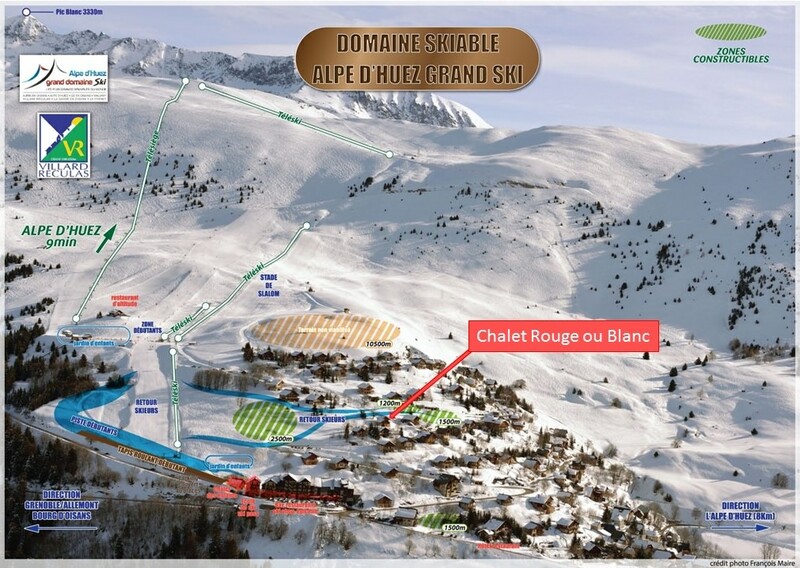 Moreover, the chalet is “ski in, ski out”, so from your chalet you can directly put on the skis and reach the first lift within one minute. 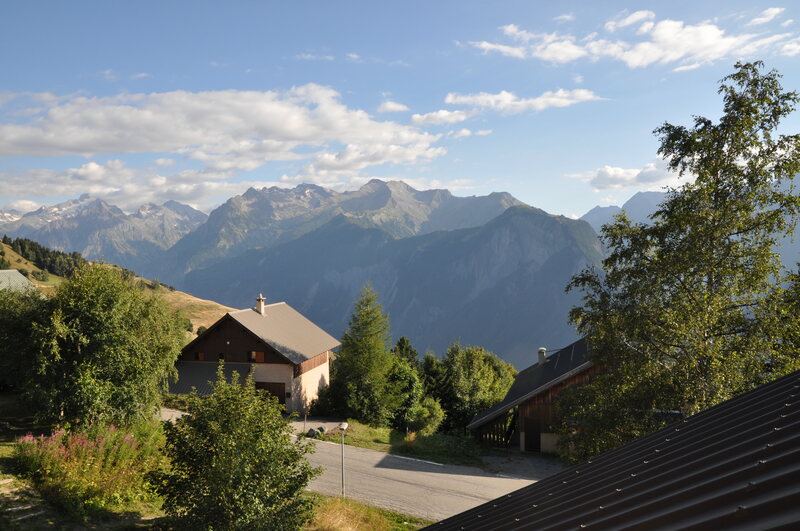 For the mountain biker and cyclist the chalet is located just a few steps away from the famous Tour de France ascent of Alpe d’Huez and many other well-known cycling cols. 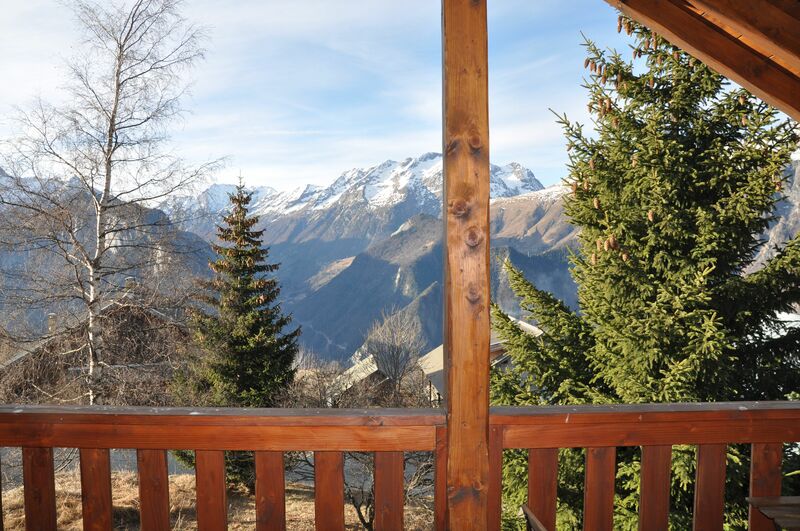 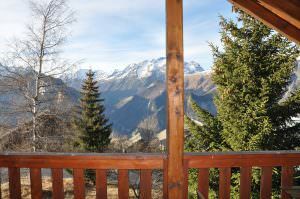 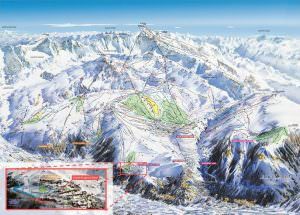 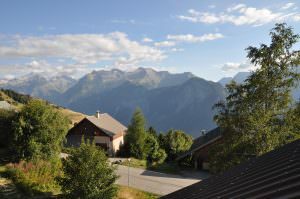 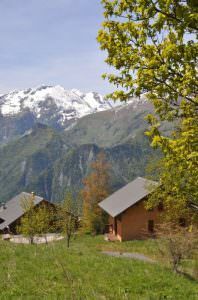 The chalet offers a beautiful view of the glaciers and the peaks of the Oisans. 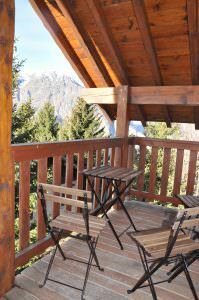 The chalet is open all year round. 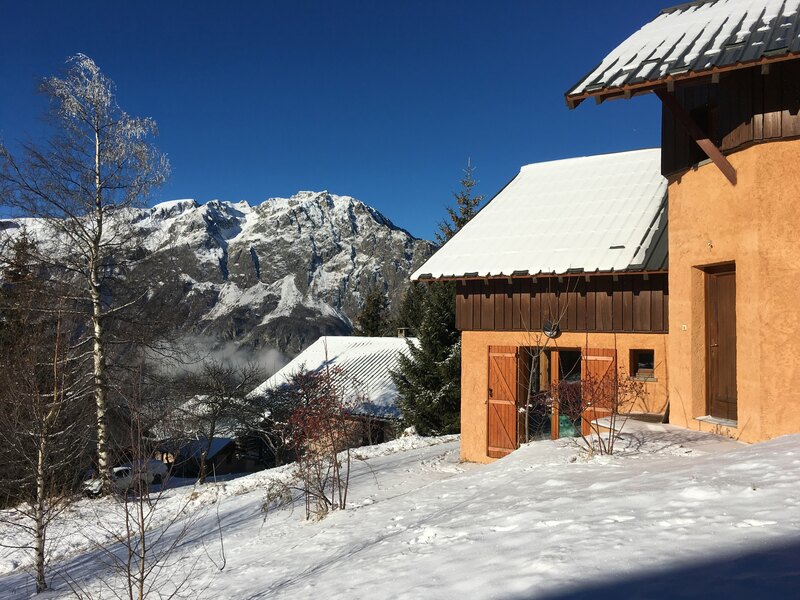 Chalet Rouge ou Blanc has been completely refurbished in 2016. 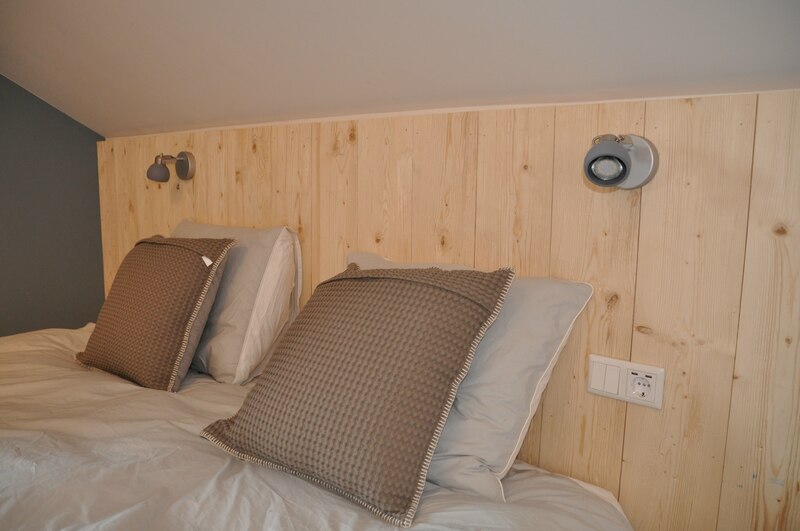 It has been decorated with a high end finish, giving it the quality, luxury and comfort you seek. 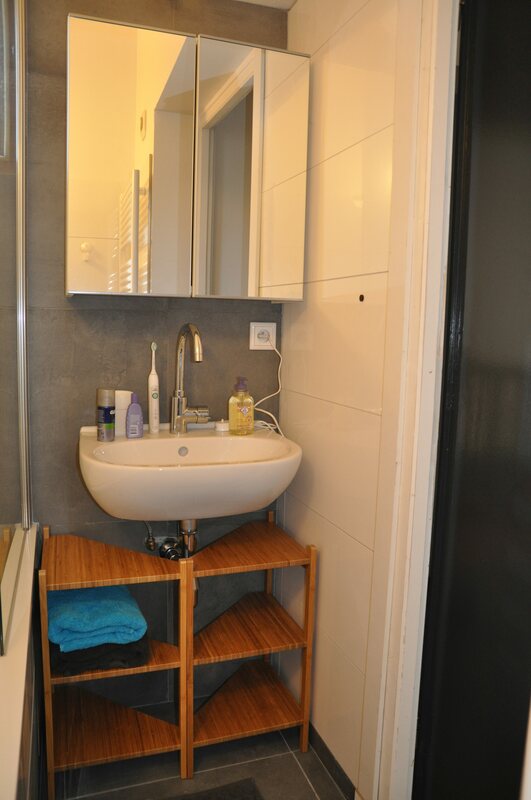 On the 150 m2 you will find everything you need. The living room is comfortably heated with underfloor heating supplemented with the cozy warmth of a wood stove. 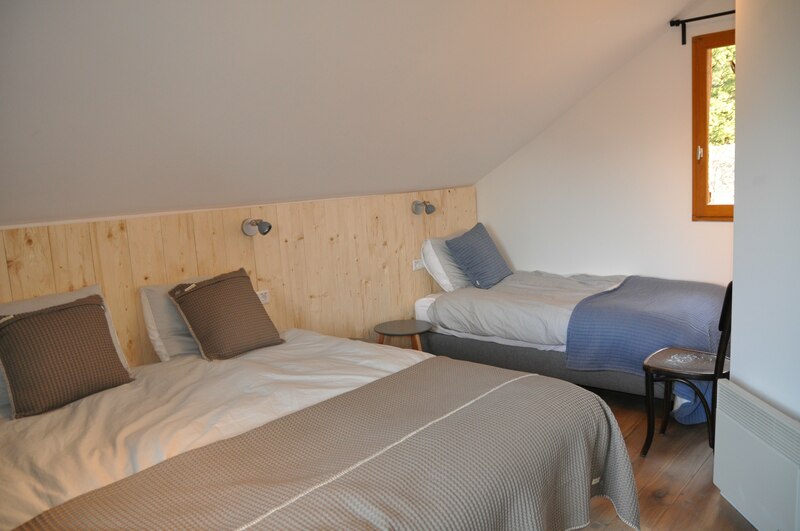 Rooms are spacious, stylish and equipped with King sized beds for ultimate comfort. The chalet has three modern bathrooms and a separate toilet on each floor. 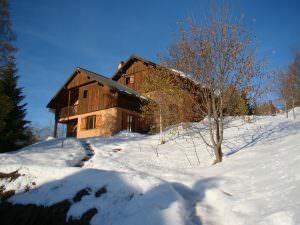 Staying in a chalet with your friends and family is a good opportunity to share wonderful meals together. 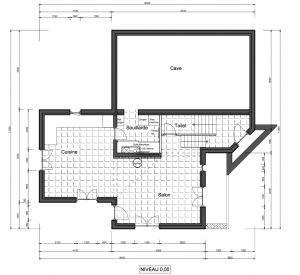 The spacious and well-appointed kitchen was designed for everyone who loves to cook. There is a large fridge-freezer, modern dishwasher, wide induction hobs, good and big pots and a luxury oven with microwave function. 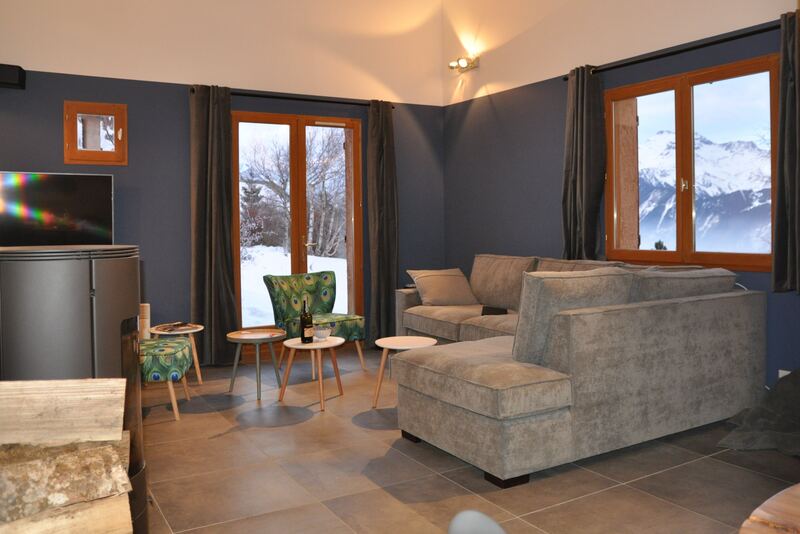 There are two cheese fondue sets and a raclette device available. 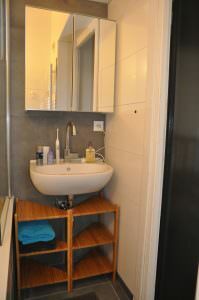 Besides a filter coffee machine and kettle, there is a Nespresso machine and milk frother. There is also a hand blender and toaster and plenty of plates, bowls, glasses and cutlery. So in the culinary field too the chalet offers you all possibilities. 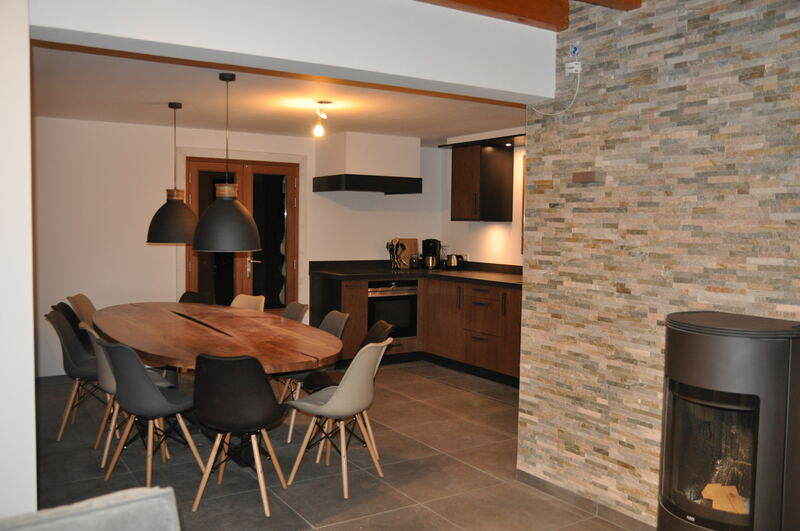 On the ground floor you will find a spacious living room with a robust 12-person dining table, a large comfortable seating area equipped with modern flat-screen TV supplemented with Apple TV. 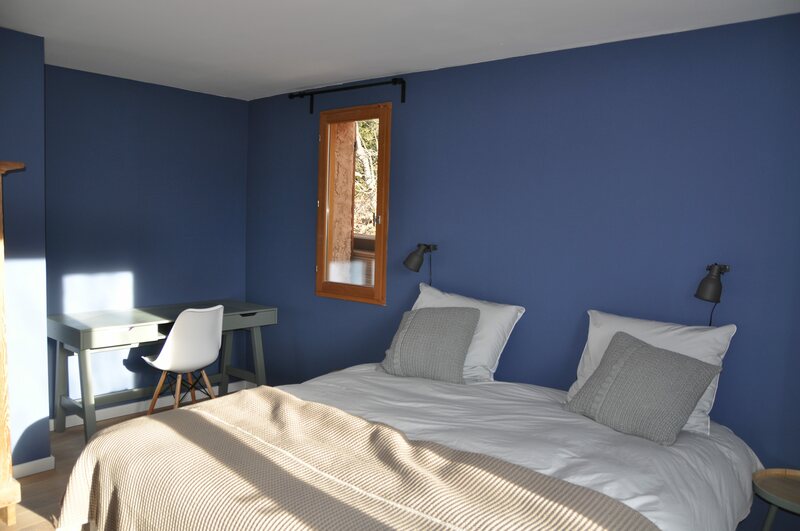 On either side of the living room there are French doors leading to a terrace so you can enjoy the sun at any time of the day. 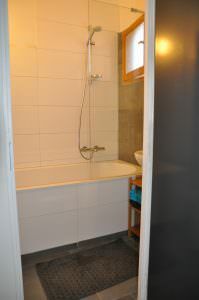 On the ground floor there is also the spacious and well-equipped kitchen and utility room with washer and drying facility. 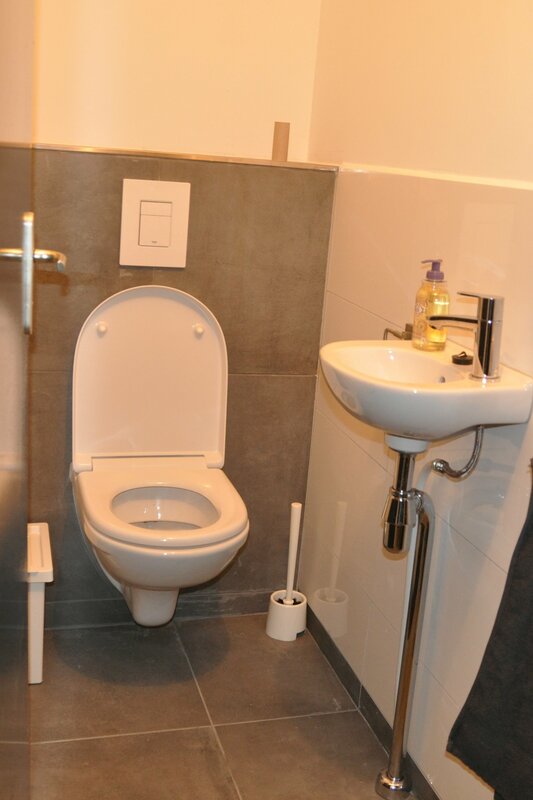 Furthermore, there is a toilet on the ground floor. On the first floor are two large bedrooms (13 and 15 m2) with each a double bed (180 × 200) and a single (90 × 200). 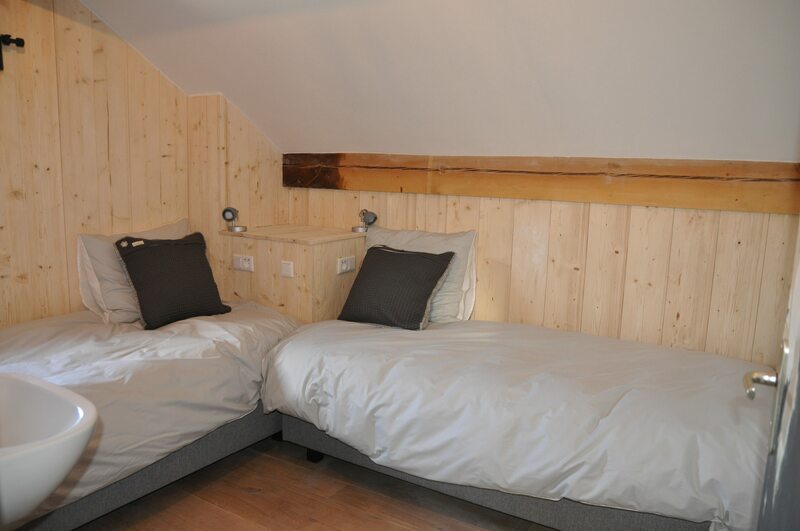 Instead of a double bed and a single bed, there is an option for both rooms for three single beds(90 x 200). 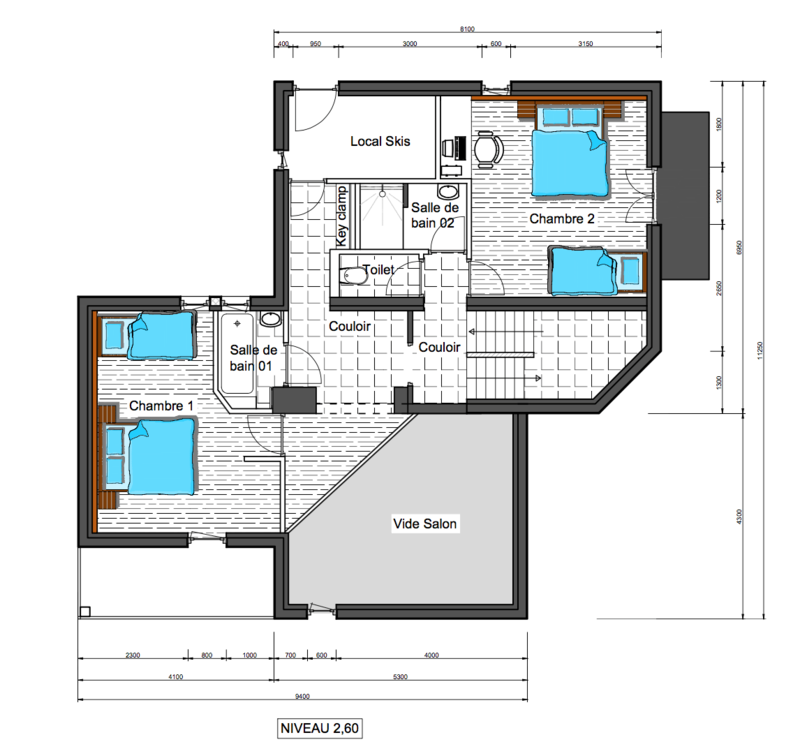 Both bedrooms have doors opening onto a balcony or terrace. 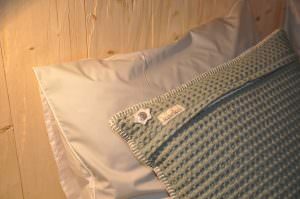 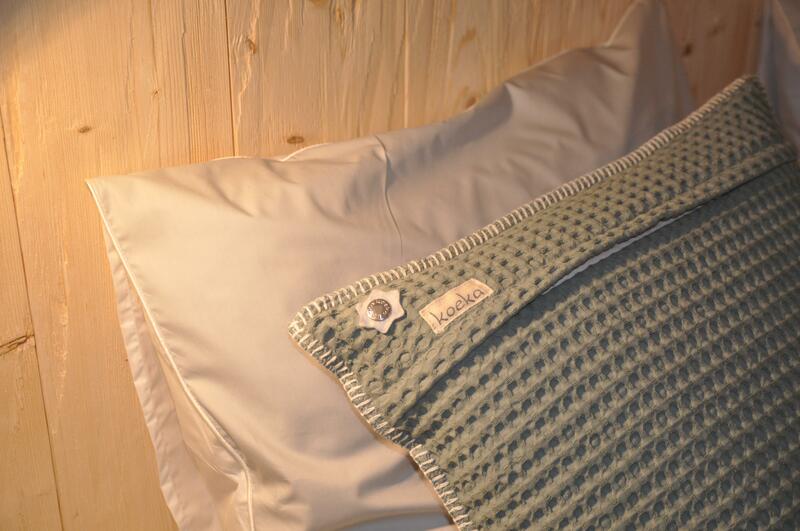 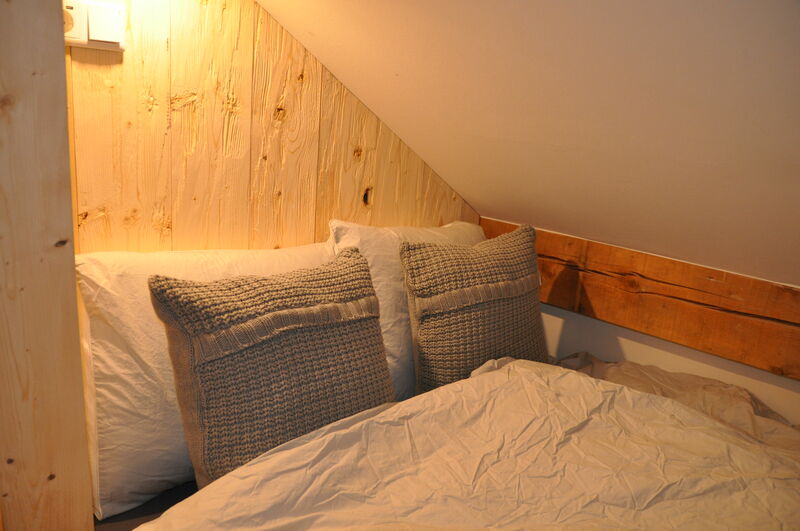 All bedrooms have wooden floors and comfortable duvets in new beds. 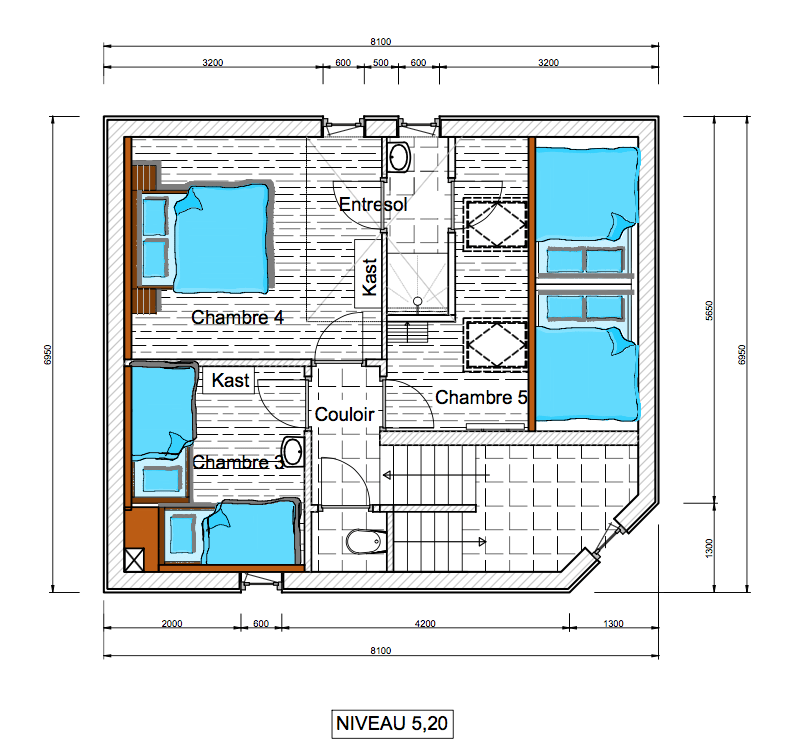 On this floor there are two modern bathrooms (one with shower and one with bath) and a separate toilet. 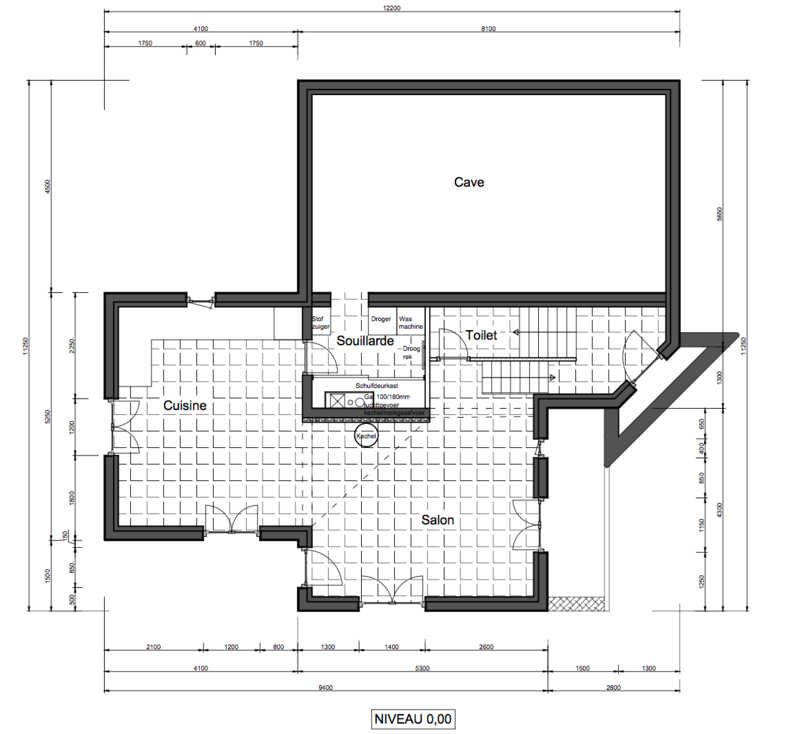 On this floor there is also the “ski / bike room” and a large mezzanine. 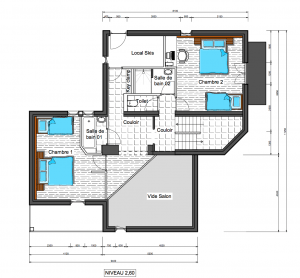 On the second floor are three good bedrooms. 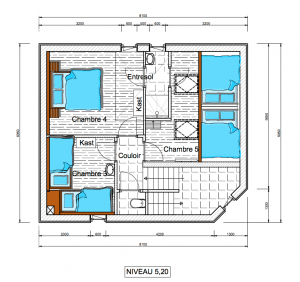 The first bedroom on this floor has two single beds (90×200), , the second has a double bed (180×200) or twin beds (90×200). The third bedroom is perfect for children. Its two bedsteads make up for a cozy sleeping space. Each bedstead contains a large mattress of 140 × 200 and therefor these beds are also suitable for adults. 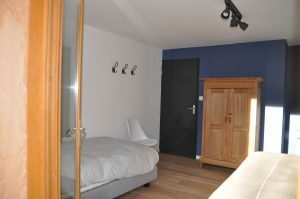 All the bedrooms have wooden floors and comfortable duvets in new beds on this floor too. 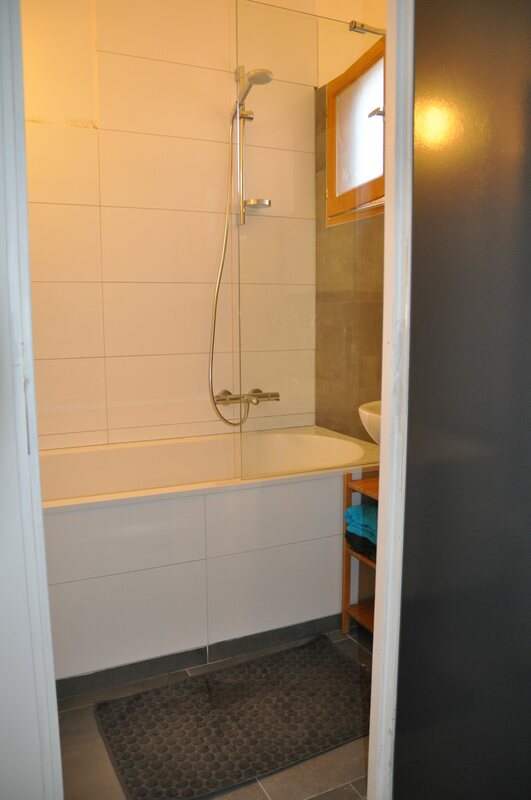 This floor also has a bathroom with shower and a separate toilet. 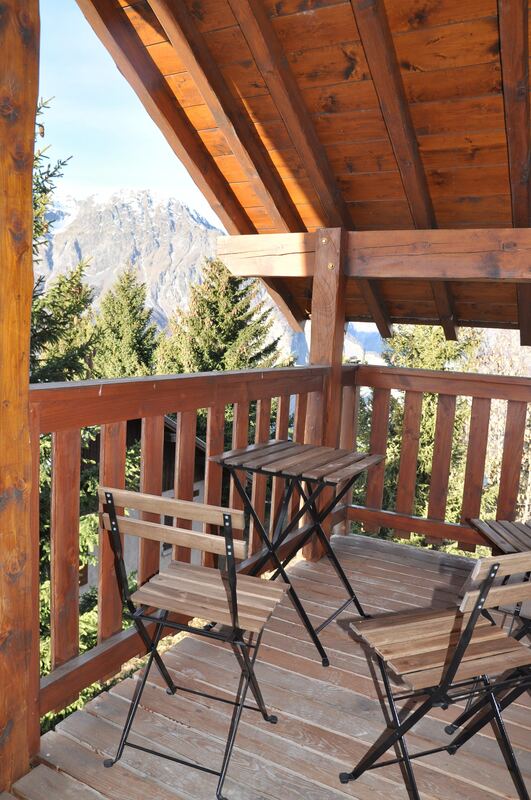 The terraces are equipped with comfortable outdoor furniture, giving you the possibility to catch some son or shade at all times. 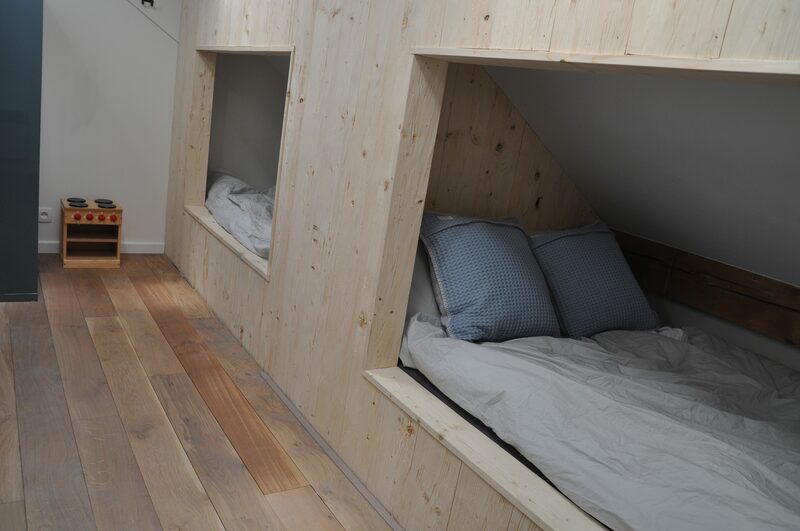 At the 4 meter long garden table is room for everyone! 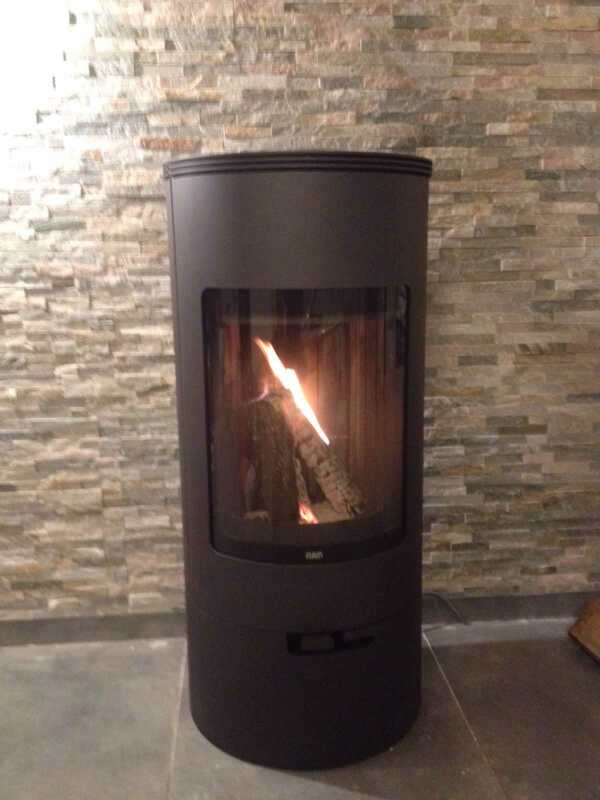 There is a wood-fired pizza oven that you can use to bake delicious pizzas. A Weber barbecue is ready to be heated up summer or winter. 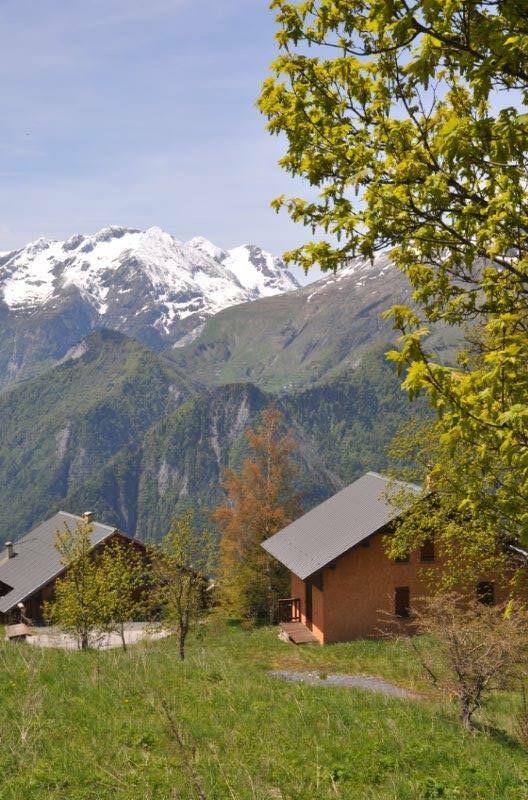 All this combined with the fantastic views of the glaciers and peaks of the Oisans will certainly make your holiday a special one.